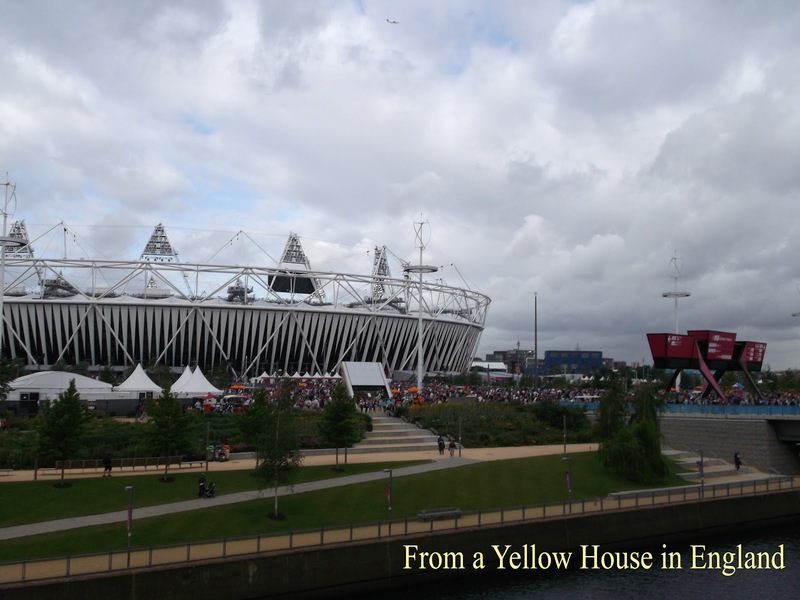 Today I wanted to continue sharing some photos from our trip to London. If you missed my first post, it can be found here . 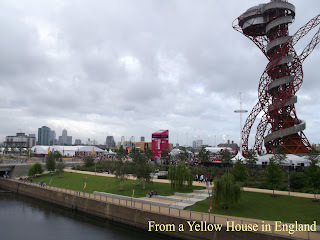 Yesterday I talked about where we stayed and today's post is about our first day going to the Olympic Park to see the swimming at the Aquatics Centre. After we went through security we were greeted by the gateway below. 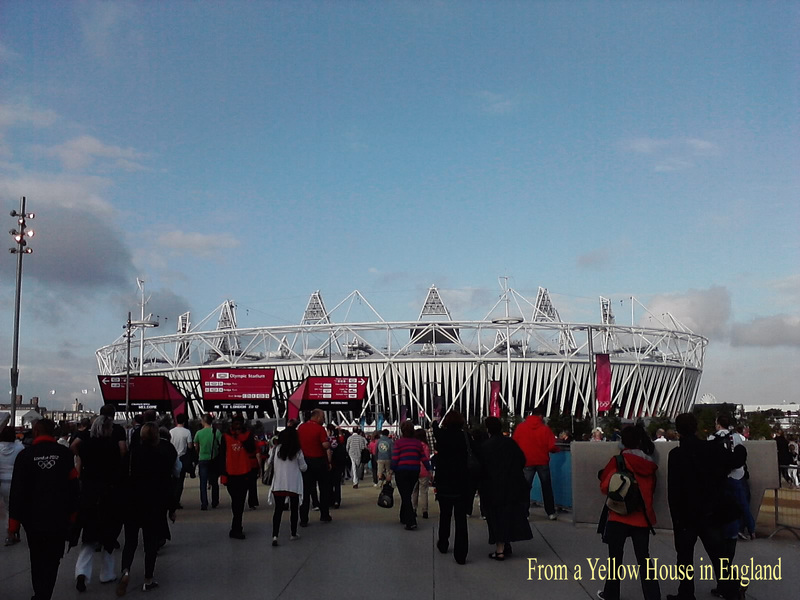 We walked along and took in the sights and sounds. 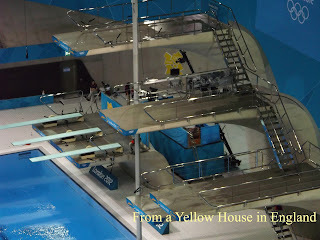 Here's a photo of one side of the Aquatics Centre. And here's a view of the Olympic Stadium as we approached it. 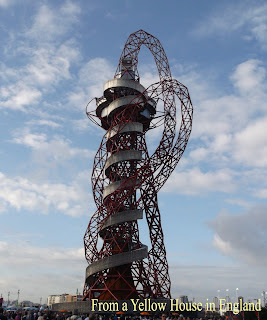 This is The Orbit tower...which is a kind of artistic piece that adorns the park. Visitors can go up top and view the whole park from the observation platform. We didn't get a chance to go up there. These are some other wider views of the park. It's an interesting place! 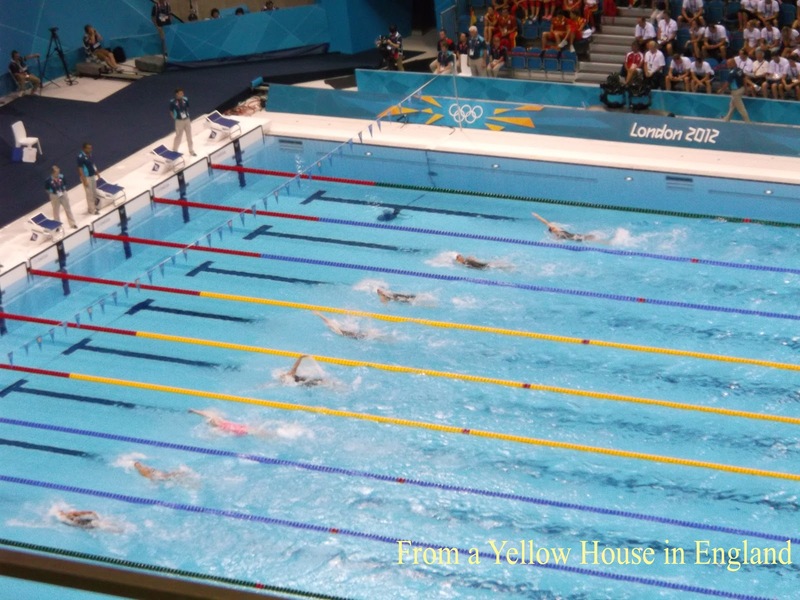 Next, here are some views of the inside of the Aquatic Centre. It was really nice and airy inside. 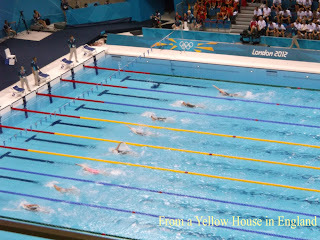 I can't recall now who was doing what, but we were there in the morning so they were swimming the heats in preparation for the evening. 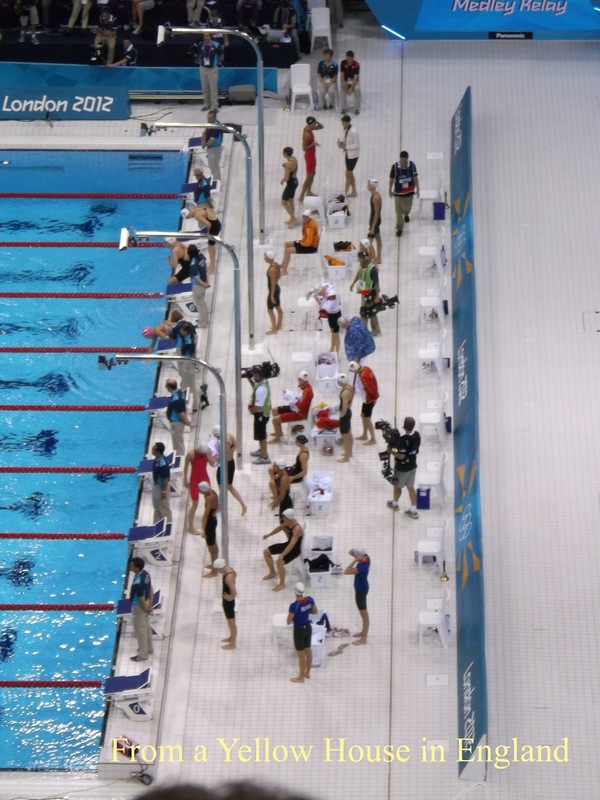 There were numerous heats. 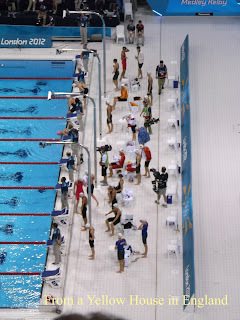 The first photo was a session of warm-up swimming before the heats. 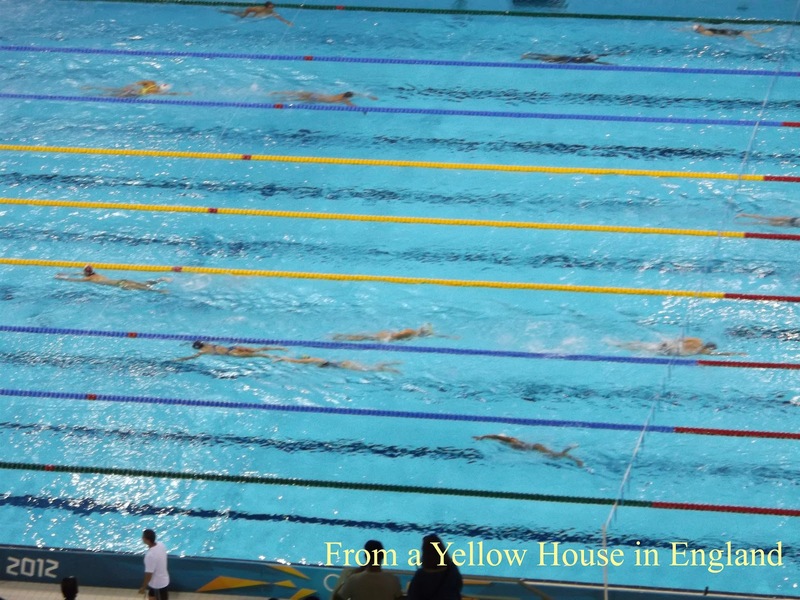 It was really cool to get the chance to watch actual Olympic swimmers. We didn't see any of the marquee names, but it didn't matter. It was incredible to see everyone. The thing that I came away with was that it takes amazing dedication to do what these athletes do. It was so inspiring. 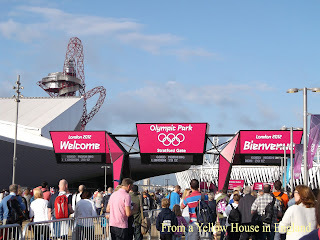 After our session of watching the swimming, we walked around the park to people watch and explore our surroundings. 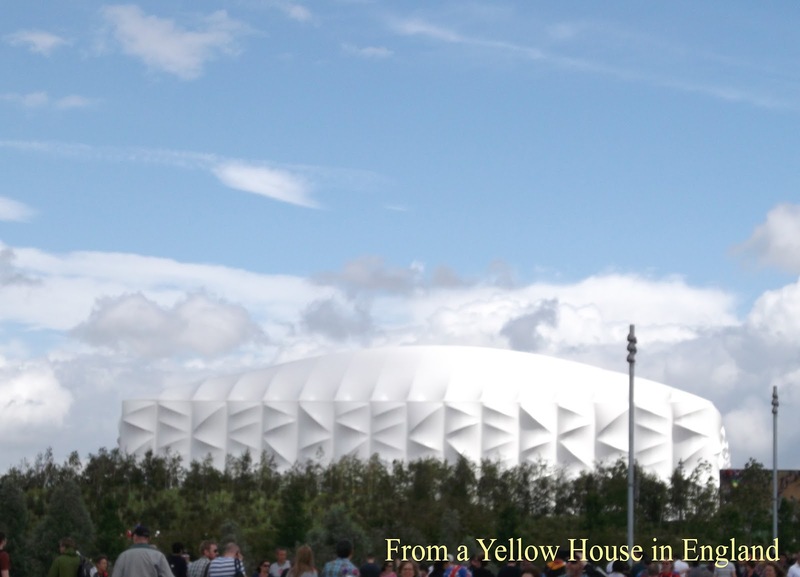 It was interesting to get a look at some of the other venues...they had intriguing designs. 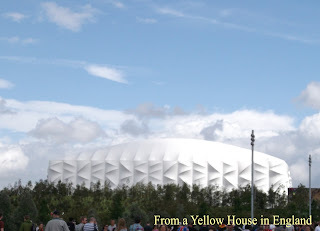 The basketball venue below is a temporary structure and looks sort of like a quilted marshmallow to me, but it was impressive inside. It didn't look like a temporary site at all. It's amazing what people can build! 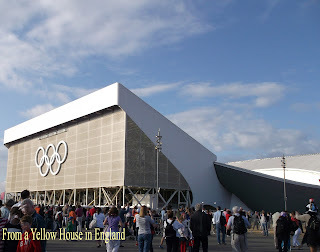 And this below is the velodrome where they do all of the track cycling. It is architecturally beautiful. We didn't get inside, but I wanted to make sure to get a photo to share here. After I took the above photo, we made our way over to somewhere with lots of familiar faces. I'll share some photos of that tomorrow along with some photos from our basketball day! 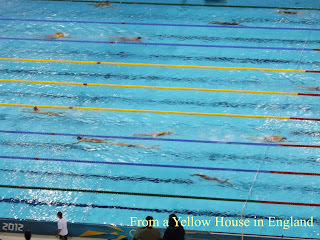 Dori, I especially enjoy watching the swimming and diving events. Oh and the gymnastics. 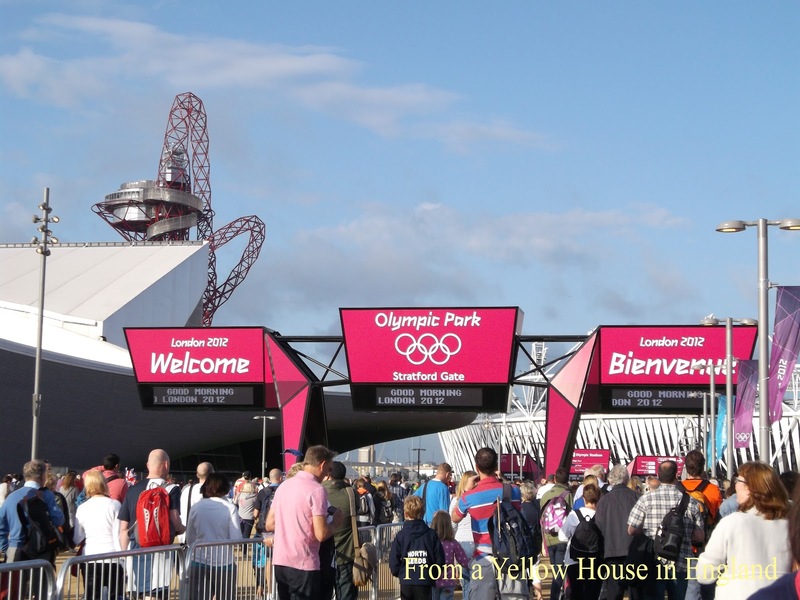 Tried to watch the cycling on that beautiful course through the city, but I got motion sickness from *their* motion! 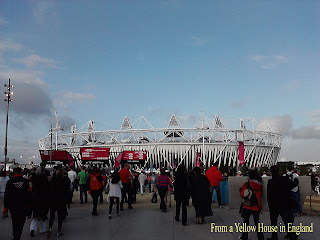 Hi Dori, I saw on your facebook wall that you had written about your visit to the olypic games in London so I decided to visit your blog to see photos and read about your and Brit's experiences in London. I see you have two posts about it and I've seen both. Nice of you to share with your blogreaders. I'll come back soon. Please give my regards to Brit too.